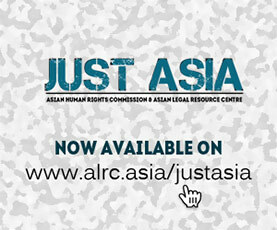 The Asian Human Rights Commission (AHRC) deeply regrets to inform you about the killing of two women activists in separate incidents, and the harassment of the urban poor office. One of the women actively opposed large scale mining in Agusan Del Sur, while the second formerly led a local women’s group in Aurora province. The third incident involved the harassment of urban poor leaders in Malabon City. On 27 May 2018, at around 12 noon, Beverly Geronimo, 27, was on her way back home in Brgy. Salvacion, Trento, Agusan Del Sur when two unnamed men in civilian clothes fired at her. Beverly was with her daughter and two relatives when she was shot. She sustained seven gunshot wounds, one in the head, causing her immediate death. Her daughter and relatives survived. Beverly is a member of the Tabing Guangan Farmers Association and an anti-mining activist. She was also a member of the Parents Teachers Community Association (PTCA) of the Mindanao Interfaith Services Foundation Inc. (MISFI) Academy, where her daughter is a student. Prior to the killing, Beverly experienced threats and harassment from soldiers under 25th, 66th, 67th, and 75th Infantry Battalions of the Philippine Army. The military has been encamped in their community since 2009. Beverly actively opposed large scale mining companies such as OZ Metals and Agusan Petroleum. Also on 27 May 2018, Carolina Lana, 62, was in her store in Brgy. Dianawan, Maria Aurora, Aurora Province when two unnamed men onboard a motorcycle stopped and shot her to death. She is a former leader of the Samahan ng mga Magbubukid na Kababaihan sa Aurora, a local women organization in Aurora. On that same day, at around 7:30pm, at least 13 residents of Brgy. Catmon, Malabon City, including urban poor leaders led by Madeline Cajipo and two minors were inside a junkshop when it was shot at. The junk shop serves as the office of Sandigan ng Maralitang Nagkakaisang sa Dumpsite Catmon Org. Inc. (SMNDC), local urban poor group. According to initial reports of Karapatan Metro Manila, Louie Picardal Mejica (aka Lugaw), a resident of Sitio 6, Brgy. Catmon, Malabon was one of the gunmen, accompanied by a certain Andrew, a suspected goon. Allegedly the gunmen were gun-for-hire assets of Malabon City Mayor Antolin Oreta III and his companion. Name of killed victim: Beverly Geronimo, 27. She is a member of Tabing Guangan Farmers Association. She is also a member of the Parents Teachers Community Association (PTCA) of the Mindanao Interfaith Services Foundation Inc. (MISFI) Academy. Name of killed victim: Carolina Lana, 62. She is former leader of the Samahan ng mga Magbubukid na Kababaihan sa Aurora. Names of alleged perpetrators: Louie Picardal Mejica (aka Lugaw), a resident of Sitio 6, Brgy. Catmon, Malabon and a certain Andrew, a suspected goon. Gun for hire asset of Malabon City Mayor Antolin Oreta III. Place of incident: Office of Sandigan ng Maralitang Nagkakaisang sa Dumpsite Catmon Org. Inc. (SMNDC) in Malabon City. I am writing to voice my grave concern regarding the killing of two women and harassment on urban poor office. Firstly, on 27 May 2018, at around 12 noon, Beverly Geronimo, 27, a member of Tabing Guangan Farmers Association and an anti-mining activist was killed on her way back home in Brgy. Salvacion, Trento, Agusan Del Sur. She was with her daughter and relatives when two unnamed men in civilian clothes fired at them. She sustained seven gunshot wounds, one in the head, causing her immediate death. Her daughter and relatives survived. Prior to the killing, she experienced threats and harassment, from different elements of military encamping at their community since 2009. The victim opposed large scale mining companies such as OZ Metals and Agusan Petroleum. Second, Carolina Lana, 62, was in her store in Brgy. Dianawan, Maria Aurora, Aurora Province when two unnamed men onboard a motorcycle stopped and shot her to death. She is a former leader of the Samahan ng mga Magbubukid na Kababaihan sa Aurora, a local women organization in Aurora. Lastly, also on 27 May 2018, at around 7:30pm, the Sandigan ng Maralitang Nagkakaisang sa Dumpsite Catmon Org. Inc. (SMNDC), office in Malabon City was shot at. At least 13 residents of Brgy. Catmon, Malabon City, including urban poor leaders led by Madeline Cajipo and two minors were inside the office. I urge you to ensure that these three incidents are properly investigated, and to ensure that those involved are held responsible without delay. Also, ensure that the witnesses and families of the murdered victims are given adequate protection promptly, should they decide to prosecute. Those who face threats should also be afforded adequate protection and the identities of those involved in making threats must be ascertained.